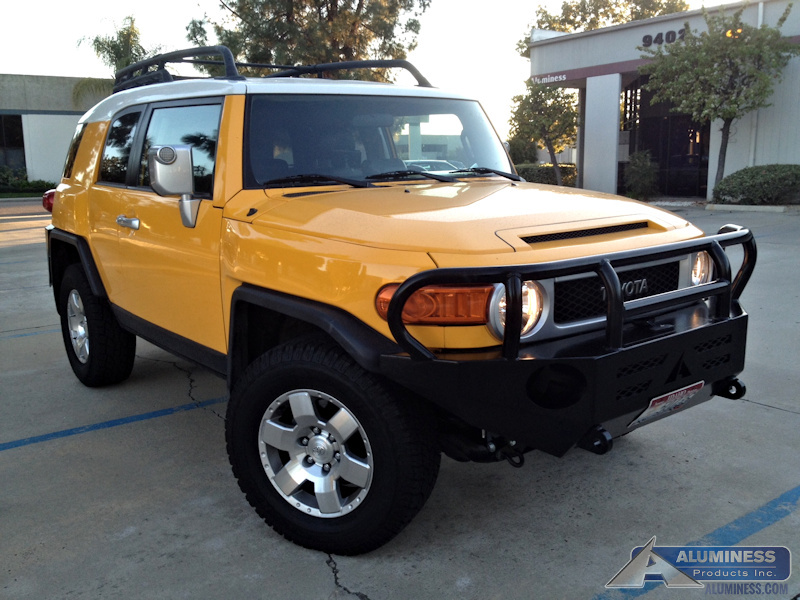 The Toyota FJ Cruiser is a remarkable off-road machine. 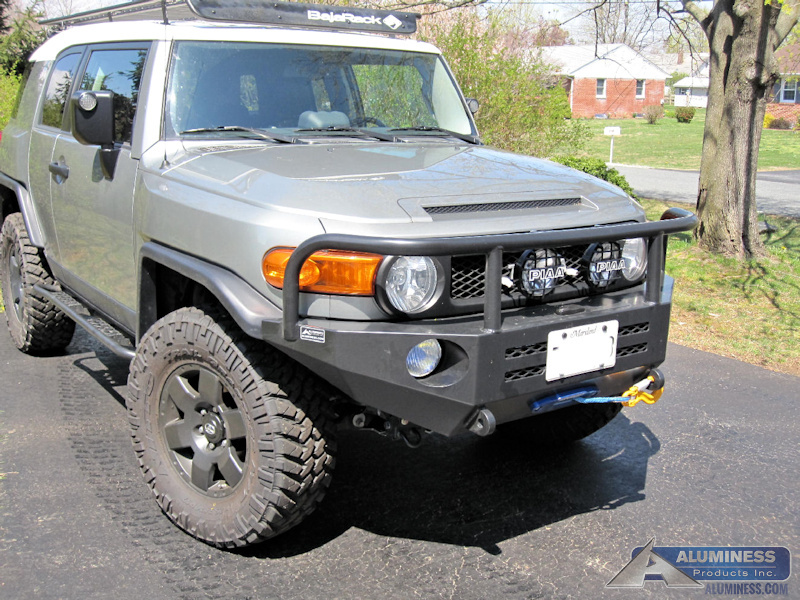 Its short wheel base is perfect for off-road adventures. The only thing it’s missing is some durable bumpers. Take the cheap plastic off and replace it with an Aluminess winch bumper. It only weighs 55 pounds so you don’t have to worry about suspension upgrades or shortened life of your brakes, tires, and/or steering components. 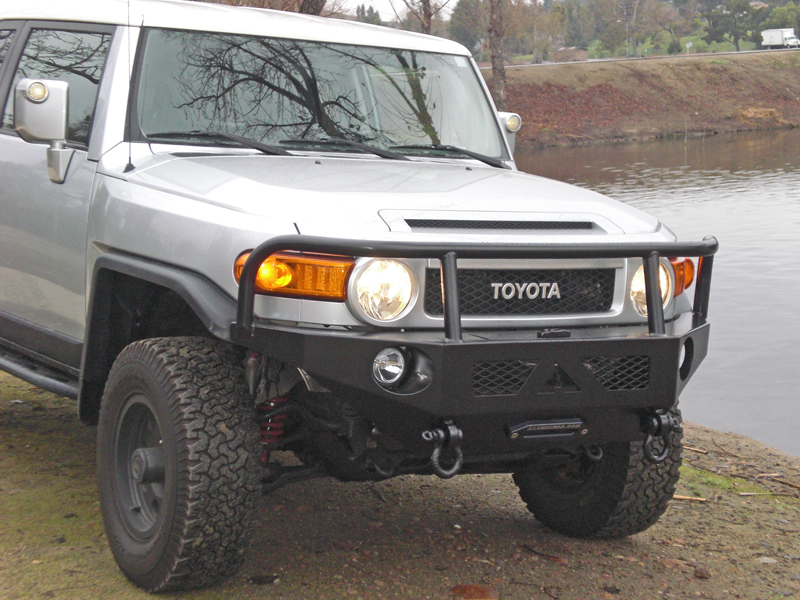 This winch compatible bumper is powder coated black and comes with tow hooks welded right in. The Lightforce 140 Lance lights may be small, but they can be a wise choice! If you need high performance in a compact package, this is the answer. 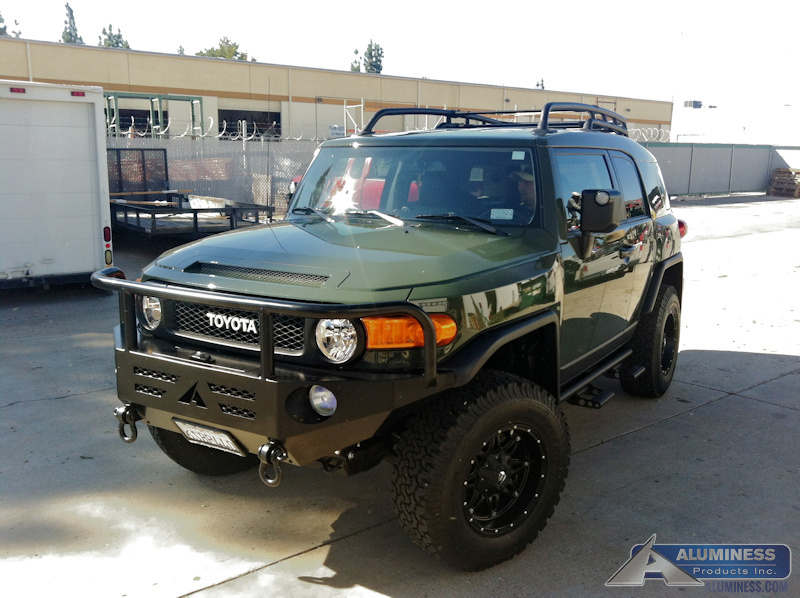 Off-road comp vehicles often install these as fog, winch, crawling or reversing lights with dispersion filters. These lights fit great in our smaller truck bumpers. They are a yellow fog light that cuts through the thickest fog. The plastic grill will not fit over the light when installed in our smaller bumper light holes.